Looking for a way to make some extra cash? We’ve found 15 mobile apps that will help you make money. From taking photos to answering survey questions or capturing help wanted ads, these apps can help you make money in your spare time. What can be better than saving money? How about earning money at the same time? And you don’t even have to do anything special – just go shopping! Ibotta is one of the most popular cash back apps out there and has been featured on Buzzfeed, Good Morning America, Forbes, ABC News, Mashable and TechCrunch. It allows you to save money and earn cash back on your everyday purchases at retailers like Target, Kroger, Walmart, Whole Foods and hundreds more. Ibotta works in over 300 retail chains, restaurants, movie theaters, convenience stores, home improvement centers, pet stores, and pharmacies nationwide. Earn cash when you buy groceries, clothes, order food, use your favorite app – you can even use it to shop online. Ibotta pays you via PayPal, Venmo or gift cards. Ibotta users have earned over $45 million dollars. Earn Up To $20 in Bonuses When You Download and Join Ibotta today! How about an app that pays you just to use your phone? 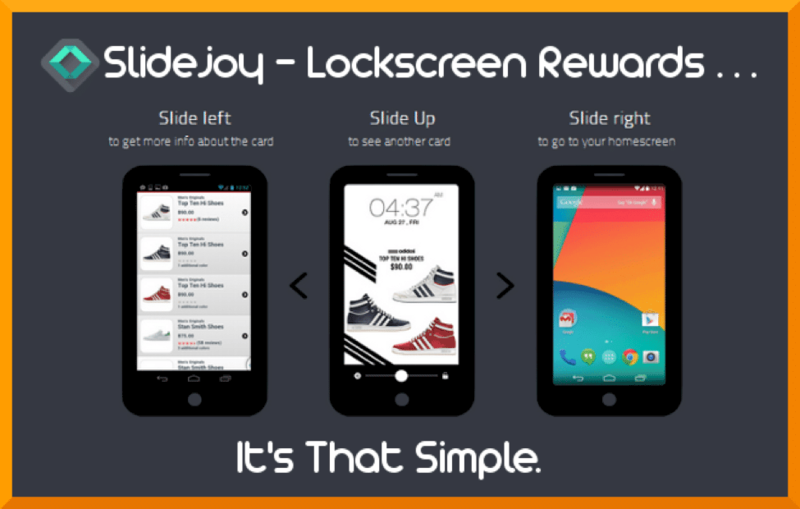 The SlideJoy App is an app that you can download to earn money for unlocking your Android phone. You don’t even have to engage with the app to earn money and you can cash out their earnings via Paypal/several gift cards or choose to donate it to charity. There is no minimum amount to cash out and your earnings never expire. The only thing that some may view as a con to this app is the waiting period. You can cash out three months after you earn your money. So, for example, money earned during January 2017 can be cashed out on April 31st 2017. However, this can also been seen as a plus, as it allows you a higher payout. Slidejoy is more for supplemental income, as it won’t make you a ton of money, according to my research most users average about $5 a month, but keep in mind that it is still free money for something you are doing anyway. You can download Slidejoy through Google Play. If you have an Android phone and are interested in earning up to $20 by completing simple and easy tasks than this is one app you need to check out. All you need to do is download the app, find nearby tasks and complete them to earn cash. Do as few or many tasks as you’d like. Successfully completing tasks builds your status resulting in access to more and higher paying tasks. Task compensation varies by the complexity of the request. Bonuses will sometimes be given for social actions like sharing a product with friends. Payments are distributed through either a linked GoBank or Paypal account. This is definitely one of the more highly reviewed apps out there in terms of ease of use and ability to earn cash quickly and easily, and has a rating of 4.4 stars on the App Store. Have you ever thought to yourself how nice it would be if you could earn money by doing something that you love? (I know I have). Well, with Foap, you can. 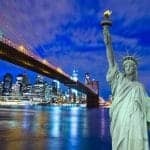 Featured on ABC News, CNN, BBC, in The New York Times and Mashable this is a free app that lets you turn your photos into money! Every time you sell a photo you get 50% of the commission. Every mission is rewarded with a prize starting with $50. What are some of the things you can do with Foap? Sell photos through Foap Missions to brands like Nivea, Bank of America, Volvo Group, Absolut Vodka, Air Aisa and Pepsi. Foap also distributes your content through partners, such as Getty Images, to help you sell even more of your photos! Foap is available through iTunes and The Google Play Store. There are two types of people in this world: those who have the motivation to exercise, eat healthy and stay in shape and those of us that don’t. But now, there is some good news for those of us who don’t – and it is called Pact. So, how does this work? There are 3 different types of Pacts – gym pact, veggie pact, food logging pact – to help you stay in shape, eat more veggies, and log your meals. You can choose to commit to one or all of these Pacts. Pact is flexible and rewards are based off the number of days committed and completed in your Pact.When you sign up for a pact, you select a certain amount–$5 or $10–that is deducted from your credit card or PayPal account for each day you miss. If you meet your Pact, you get a cash reward for each day committed, paid for by those who didn’t make it. Rewards have generally been $0.30 to $5 per week, depending on the number of activities committed. Pact has been featured in The New Yorker, CNN, Shape, Men’s Health and Techcrunch and was featured as an Editor’s Choice item in a PC Mag review. Pact can be downloaded through Google Play or iTunes. How about an app that is like having your own personal garage sale in the palm of your hand? Mercari helps you to buy and sell millions of items such as clothes, electronics, fashion, jewelry, handmade items and many more in just seconds! It is fast, free and simple to use. They do not charge any membership or listing fees and offer 24/7 support and peace of mind – The payment is held until the item gets delivered and the buyer verifies that it’s as described. Millions of people are buying and selling on Mercari’s marketplace every day, which means it’s easy and fast to sell almost anything! Search or browse our virtual garage sale for new & used items in over 10 categories. Famous brands such as Nike, Victoria’s Secret Pink, Gucci, Louis Vuitton, and Michael Kors. Communicate with your sellers & buyers right from the app. Share your listings to Facebook, Twitter & Instagram to tell others about what you’re selling. Browse and sell fashion and accessories for men and women, electronics, decor, books, vintage items, and so much more! Confirm and track your shipment – The app notifies you when your item has shipped and is delivered. Secure transactions – All purchases are securely and digitally processed. Message sellers directly, check out the item, and buy it before it’s gone. How many of us would not enjoy getting paid to shop at our local retailers or eat at our favorite restaurants? Mobee is an app that makes it possible for you to earn huge rewards and tons of cash to go to places you already know and love. Places like McDonald’s, CVS, Starbucks, Chipotle, Staples, Walmart, Target, Walgreens……It is pretty simple. Mobee will connect you to thousands of businesses near you that want to hear your feedback on their stores, and in return you get rewarded with awesome prizes, gifts, and cash. Hundreds of thousands of dollars in rewards have already been given out. Complete fun and exciting Missions at places you already shop at. Get points to redeem for vacations, gift cards, and shopping sprees! Take photos, use timers, scope out the store — you have the power to influence businesses. Be your own boss, earn money and have a great time doing it, wherever, whenever. Earn extra cash for inviting users! The missions (what Mobee calls your secret shopping assignments) are based on your location and each one is worth a certain number of points. The map shows you the locations based on distance, the number of points and any requirements for each mission (some do have specific requirements such as taking pictures or locating specific products so make sure you read the instructions completely). Filter options allow you to narrow your options by distance, points of brand. Once your mission is complete you earn points. Your points can be exchanged for gift cards within the Mobee App rewards section. Gift cards start at $5 and go up to $100 values. The lower gift cards are available to eBay, Sports Authority, and Staples. You can also exchange points for free Redbox rentals. PayPal is an option but the PayPal gift card starts at $50. IQ offers a very simple and straightforward premise: get paid to share your opinion. And if there is one thing that all of us have, it is definitely an opinion! But unlike other apps that pay you to complete surveys 1Q is a little bit different: Their surveys only have one question each – and they pay you instantly, via PayPal. Companies pay 1Q $1.00 per response, and they pay you 0.50 of that – not bad for about ten seconds of your time. Of course, you can choose the 0.25 payment to get more questions sent to you, with the lower payment option selected. Check out the FAQs on their website for more information on how this works. You can download 1Q on the App Store or Google Play Store. This app is for Android users only (I did try to find a similar Apple version but didn’t really find anything) and while this app does not pay in cash it does have some great rewards. Completed surveys are redeemable for Google Play credits, which you can use towards Android apps, Google Music, Books, Magazines, or Movies in the Play Store. By filling out 1 or 2 surveys you may have enough credits for a Google App. According to one review site: It “seems that high-spending, regularly shopping women get more opportunities for generating rewards with the Google Reward Opinions.” For those who do not fit into that category you can earn more surveys by completing regular shopping trips to well-known stores. Keep in mind the credits you earn expire after 12 months. Try free apps – Get Rewards. What could be easier? Redeem your points for rewards such as: iTunes, Amazon, Starbucks, PayPal cash, and more. You can also use your points to get any paid app from the App Store for free. You can also earn unlimited points by referring your friends: give them your referral link and you’ll get 50% of the points they earn. Another way to earn extra points is by opting in to surveys. Available through Google Play. While it is completely free to join, there are a few points to keep in mind. Rewards can vary based on your geographic location and your points can expire from inactivity. If your account shows no activity for sixty (60) days, your points will expire and your account will be reset to zero. Rated the number one best paying app for 2016 by The Joe Economy Cash Pirate has been downloaded over one million times. It is free from the Google Play Store (Never fear iPhone users, I did not forget you! There is a partner app called GiftPanda that is available for IOS and is pretty much the same thing). **Use Referral Code: OANTJM if you are going to download the app. You will get a bonus of 500 coins when you input this code. With Cash Pirate you can get rewarded for trying free apps, completing surveys, watching videos, trying free games, inviting friends (Refer your friends and you will get 10% of all their earnings as well as 5% of all the friends your friends referred and Your referrals will get 500 bonus coins), free product trials, and more. You get coins for every completed task. Once you have collected enough Pirate Coins you can swap for rewards such as Amazon, iTunes, Steam or PayPal cash! One thing to note, this app does have a rating of Mature 17+. When it comes to trying new products I (along with a few million others) like to read customer reviews. And when something has over 200,000 5 star reviews (source: Google Play Store), over a million downloads and a recurring theme of being both popular and highly regarded, chances are something is being done right. And AppKarma is all of the above. AppKarma lets you earn PayPal Cash and Gift Cards when you complete offers (play with apps, watch videos, invite friends, etc …). You can redeem your points and receive your gift cards right inside the app. How can you earn rewards with this app? Karma Plays – Earn Karma Plays and you can get daily rewards for playing with apps you’ve downloaded. Karma Quizzes – Earn rewards when you answer Karma Quizzes correctly. Invite Rewards – Invite your friends, and you will get 30% of what they earn from app install offers. What are some of the reward choices? AppKarma will pay you to promote them on your YouTube channel. You should have a minimum of 1000 subscribers on your channel or can generate a lot of views when you post a video. You will earn 40% – 50% of what your referrals earn from completing app offers. You will also receive an upgraded referrer code so your referrals will get a larger starting bonus if they use your invite link / referrer code. You could earn ~$1000 USD if your video generates between 100k ~ 160k views. The top YouTuber has earned nearly $10k USD. And what about the rewards? You can redeem your Perk Points on your Viggle App for over 800+ Gift Card options, Prizes, or exchange your Points for cash with their powerful prepaid debit card, Perk Plastik. You can also Use Perk Points to enter sweepstakes for a chance to win Gift Cards or donate to over 1,000 charities including Autism Speaks, Wounded Warrior Project, American Cancer Society and more. And, if you need further assistance, Viggle offers an FAQ section, Community Support and an online Help Form. It definitely sounds like they have all the bases covered with this one. Google Play users have rated Viggle 4 stars (with 122,782 total reviews) while Apple users (only 109 of those) have only rated it 2. My opinion? It definitely sounds like fun and worth a try……..so, come on and start Viggling! “You earn ORO Coins by watching videos, installing apps and completing other offers. You can then use your ORO Coins to purchase different prizes at the Tapporo Store. The 20,204 people that have reviewed Tapporo on the Google Play Store rate this app 4 stars, with over half (12,708 to be exact) of them giving it a 5 star rating. Tapporo was also featured in a 2015 review by Moneyjojo who named it #5 out of the Top 5 Money Making Apps of 2015. More recently it was also featured in the The Best Android Apps to Make Money and was rated #9 in the 20 Best Smartphone Apps That Pay You 2017. It sounds like this one my be worth a shot. If you are looking to earn cold, hard cash then this is not the app for you. But, if you are an Amazon shopper (which I am) then this is a pretty easy way to earn Amazon gift cards. Plus, it is a great way to help local businesses. So what do you have to do? It is pretty simple, actually. You walk (or drive) around your local neighborhood and take pictures of Help Wanted or Now Hiring Signs. You then submit a picture of the sign (and the storefront), earn points and then redeem them for Amazon gift cards. According to my research, you earn $1 in the form of an Amazon gift card for every 100 points. According to Job Spotter they typically award 10 to 100 points per submission. And smaller businesses garner more points than chains. You can download this app through iTunes or through the Google Play Store.